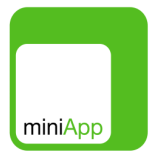 Miniapp is a mobile advertising technology that enables a one-of-a-kind reading experience from select news publishers. The technology contextualizes the reading experience to provide readers relevant links called “miniapps”. These miniapps give the user access to actionable content that he/she might be interested in according to the related article. 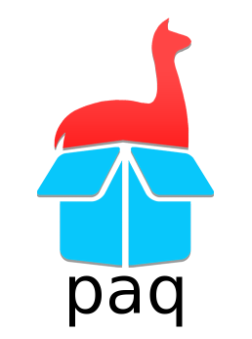 The user can therefore reach the brands and services that he/she loves without ever having to leave the app or download another one. With this unique feature, Miniapp provides a seamless and more efficient mobile experience. Where was that amazing pad thai stand in Bangkok? Show me where the new Banksy is in Brooklyn! Paq is a layer on Google Maps that lets you have chats about any place in the world. The app puts you in control to personally define locations while emphasizing private discussions with friends. The use of paper receipts as a proof of payment is obsolete, confusing and not eco-friendly. The Kaboola app solves all of these, by offering digital receipts from the POS straight to the consumer's mobile. Our customer analysis allows us to apply high level learning algorithms that provide your shoppers with personalized coupons exactly at the right moment, ensuring they will return to your store. HolyXplore provides travellers an engaging web and mobile platform to best convey the story of their experience. It does this through an intelligent machine learning based interface to combine and coordinate knowledge, logistics and memories - before, during and after the trip. Wise Event - SAAS in the nightlife life industry to manage the inside work process, costumers data base and marketing by connecting the clients to the business.